Each 'Sun Sign' or 'Zodiac Sign' is ruled by a specific planet. And it is the associated planet that gives the 'sun sign' the most influence. 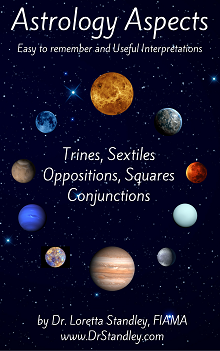 In your natal chart, each specific planet is located in one of the 12 houses. Depending on which house the planet is sitting in, the planet will bring to that particular house, the energy of that planet. KEYWORDS: Energy, aggressiveness, action, initiative, impulsiveness, adventurous, physical energy, courage, assertiveness and rash. Mars rules the weekday, Tuesday. 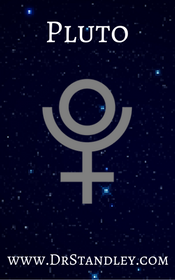 The Mars glyph is the inverted symbol of venus, where Mars is masculine (yang) energy and Venus is feminine (yin) energy. It is represents the cross of materiality with a directed energy overriding the circle of spirit. Mars is the yang side of our emotional nature. KEYWORDS: Love, beauty, harmony, affection, appreciation, sensual, vanity, flirtatious, art, music and aesthetics. Venus rules the weekday, Friday. 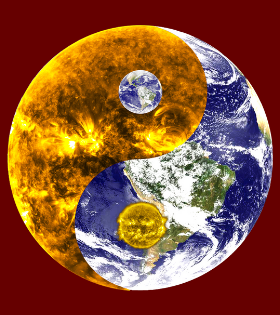 The Venus glyph is the upright symbol of Mars, where Venus is feminine (yin) energy and Mars is masculine (yang) energy. It is represented by the circle of spirit over the cross of matter. It represents the spirit overcoming matter through Love. 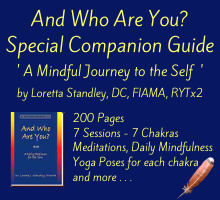 Venus is the yin side of our emotional nature. KEYWORDS: Mind, communications, intelligence, reasoning capabilities, gathering facts and the ability to perceive relationships between two things, situations or people. Mercury rules the weekday, Wednesday. 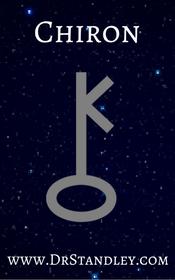 The Mercury glyph represents the link between the spirit and matter, and between the soul and personality. It is represented by the crescent, the circle and the cross. It indicates the receptivity of the soul through the exaltation of the spirit over matter. The Moon rules the weekday, Monday. 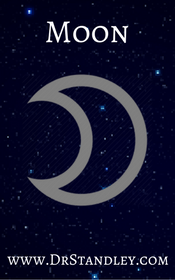 The Moon glyph is represented by a crescent indicating the moods and emotions of the personality. The Sun rules the weekday, Sunday. The Sun glyph represents the circle of unlimited potential, which is brought to Life with a dot in the center. The dot is your focus and where you will shine in Life. KEYWORDS: Regeneration, transformation, coercion, cooperation, rebirth, desire, obsession, cleansing, healing, elimination and generational changes. Pluto rules the weekday, Tuesday. 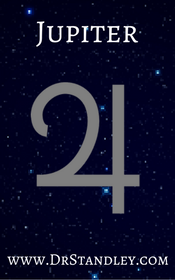 The Pluto glyph represents a small circle over a crescent sitting on a cross, which is similar to Neptune. 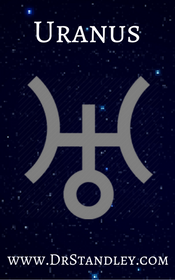 Pluto is a higher octave of Mars, which is why Mars also rules Scorpio. KEYWORDS: Expansion, improvement, spontaneity, opportunity, increase, aspiration, the higher mind, wisdom, enthusiasm, optimism, benevolence, generosity and gain through experience. Jupiter rules the weekday, Thursday. The Jupiter glyph represents the ascending crescent of the personality which is no longer confined to the material plane, which is why Jupiter moves beyond what you can actually see and finds gain. KEYWORDS: Contraction, effort, discipline, responsibility, restriction, teacher, father, seriousness, stability, caution, mature, concentration, endurance and persistence. Saturn rules the weekday, Saturday. 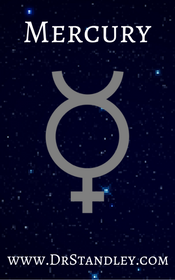 The Saturn glyph represents the cross of the material plane over the crescent of the personality. 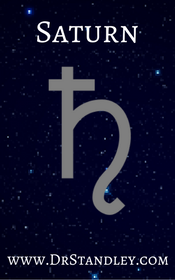 The glyph shows why Capricorn's, who are ruled by Saturn, are the most materialistic sun sign. KEYWORDS: Reform, rebellious, independent, original, inventive, changing, electrifying, powerful, nervous energy, mentally impacting, sudden changes and destroys the old in order to bring about the new. Uranus rules the weekday, Wednesday. The Uranus glyph represents the cross of matter confined at both sides where matter is being forced up from the bottom circle of spirit. Wherever Uranus shows up, it will force change in your Life. KEYWORDS: Sensitivity, idealism, compassion, faith, spiritual guidance, spiritual strength, creativity, the path of least resistance, escapist tendencies, imaginative, intuitive, evasive, sentimental, indecisive and hypersensitive. 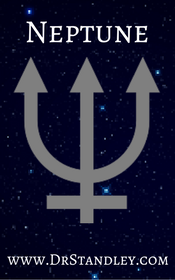 The Neptune glyph represents aspiration or an extension of the personality due to the extension of the crescent in the upward direction atop of the cross ascending the personality above all matter. 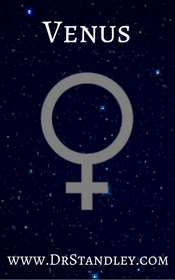 Neptune is the higher octave of Venus, which is why Venus is exalted in Pisces. KEYWORDS: Good health, prosperity and blessings. Often referred to as the "lucky point." 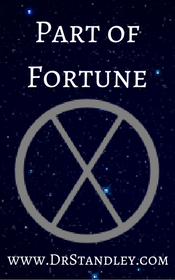 The Part of Fortune is a calculated and very sensitive point in your natal chart. 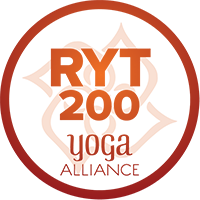 This glyph is an ancient interpretive element associated with health, prosperity and the physical body. The house in which this glyph lands is the area that symbolizes benevolence. This point is particularly activated when a transiting planet crosses its path. If you were born at night, this point needs to be calculated differently than during the day. 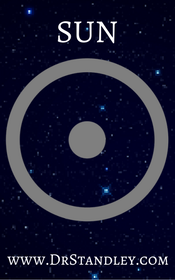 The glyph is represented by a circle with an "X" inside it. Chiron is an asteroid that orbits between Saturn and Uranus and it symbolizes the wounding that we sustain in life. Because it is represented as (half human, half animal), it is asking us to overcome our animal nature and serve the higher form of Life, being human service. There is a thought that we create our own suffering because we continue to cling to material possessions, behaviors, beliefs and ideas that we need to release in order to move to our higher-self. Wherever you find Chiron in your chart, it represents where you suffer and how you can release your own suffering to move forward in Life. 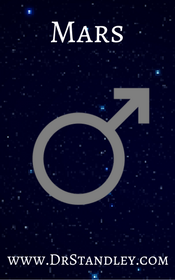 Since Chiron was only discovered in the 1970’s, you will find many thoughts and opinions as to what Chiron means in astrological charting. 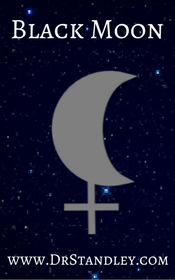 The Black Moon (Lilith) represents the dark side of women. This shows the area of your dark side. Even men have a feminine side and this would be their feminine dark side. It may also be their experience with the dark side of women. Lilith is best understood in contrast to her counterpart, the visible Moon, which is called Luna. Luna receives her self-fulfillment and self-definition through the nurturing of others. Lilith on the other hand is self-fulfilled and self-defined. She can certainly be a brat and a trouble-maker. Luna represents the visible emotions; and Lilith represents the emotions that remain hidden or secret. Lilith lives behind-the-scenes, usually undetected. She can be sneaky or deceptive, but she can also indicate our ability to be subtle, to guide and manage events and people without being intrusive. 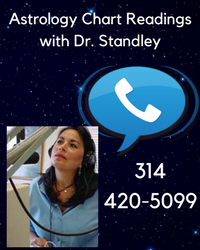 She is our ability to be private, and her placement in the chart will tell you what you feel the most secretive about. As a Moon, Lilith is also associated with mothering, but she is the strength of a mother protecting her cubs. Luna is soft and kind and nurturing. Lilith is strong, a disciplinarian, and will kill any who threaten the well-being of her offspring. Lilith is protective and self-protective. Lilith often thinks of herself first! 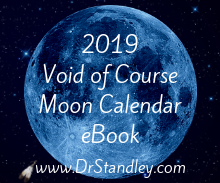 As of this chart writing, I have not yet put a picture of Lilith (Black Moon) on the website. Lilith will look like a Black Moon with a small plus at the bottom of it.